The Endura T18 revolutionised vaping around the world with a device designed to give smokers a completely great vaping experience. Millions of Endura T18 have been sold and thanks to all of your feedback, Innokin have taken a great device and made it even better. 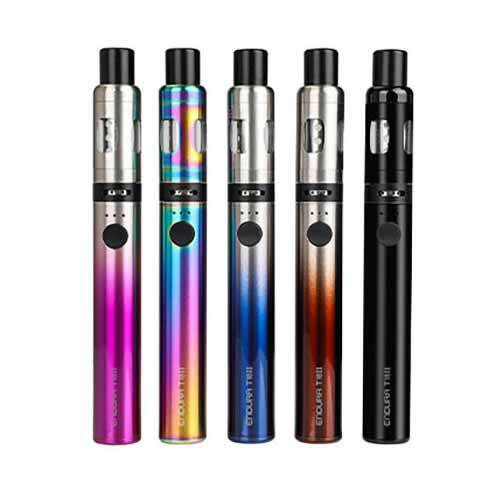 The next generation Innokin Endura T18 II vaporiser kit gives you the freedom to easily tune the heat and airflow to create a personally perfect vape experience. Powered by the T18 Prism coil for maximum flavour and enjoyment, the T18 II has a magnetic cap that keeps the drip-tip clean and clicks to the base while vaping. Along with your Innokin Endura T18 II Starter kit, pick a 10ml e-liquid of your choice from over 40 flavours. Everything you need to start on your vaping journey!